CLEVELAND, Ohio – Mace Security International Inc. (OTCQX: MACE) today released audited financial results for the year ended December 31, 2017. The Company is pleased to announce another year of growth in 2017. The Company has grown its top line sales through organic growth and strategic acquisitions during the past year while managing spending and operations to turn a profit at the same time. The Company in 2017 added 112 new accounts across all channels of commerce. The Company acknowledges and thanks former Board members Dan Perella and Carl Grassi for their contributions and hard work over the past several years with helping place the foundation for future success. The Company, by expanding its revenue base with the 2017 acquisitions of Washington Laboratories and Vigilant, was able to grow revenues by 10.3% despite a cyclical downturn in international sales and sluggish sales in the sporting goods channel in 2017. The acquisition of Washington Laboratories added stable top line growth. The increased production volume and automation derived from this acquisition increased overall profitability by lowering per unit costs. The Vigilant acquisition, and addition of David Happe to the Mace team, provided the Company with an instant vibrant e-commerce presence both domestically and internationally as well as the expertise to manage and grow this critical segment. “Mace was the perfect partner for me as they have the brand, the infrastructure and the tools to raise the ceiling on my goals and abilities” stated David Happe. Mace® will conduct a conference call on Thursday, March 29, 2018 at 11:00 AM EDT, 8:00 AM PDT to discuss its financial and operational performance for the quarter and full-year ended December 31, 2017. The participant conference call number is (877) 719-8065, conference ID: 7699986.A full set of the consolidated financial statements are available on www.Mace.com. Recording of the teleconference will be available on the Mace website within 48 hours of the teleconference. CLEVELAND, Ohio – Mace Security International, Inc. (MSI) (OTCQX:MACE) announced that RKI, Inc., d/b/a Roll-Kraft, has acquired shares of the Company’s common stock from accounts managed by Ancora Advisers, LLC As a result of this transaction, Roll-Kraft now owns 20% of the Company’s outstanding shares. 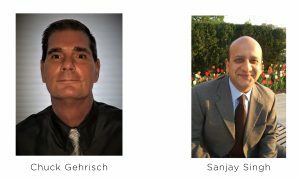 Contemporaneous with the transaction, Chuck Gehrisch, CEO of Roll-Kraft, and Sanjay Singh, President of Roll-Kraft, were appointed to the Company’s Board of Directors, effective March 9, 2018. 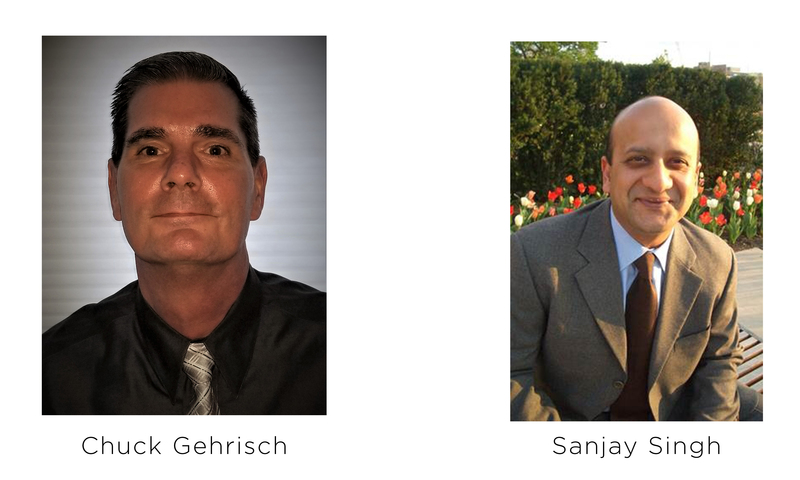 Carl Grassi and Daniel Perella have respectfully resigned from the board effective March 9th, Both Dan and Carl had previously expressed their desire to resign due to personal and professional reasons. The board has created the roles of Executive Chairman and Executive Vice Chairman to work with the CEO and the current management team on operational efficiency with the goal of creating an even more robust company. The Executive Chairman and Executive Vice Chairman will be eligible to receive compensation for their services based on certain improvements in the Company’s financial performance. Mr. Gehrisch has been elected as Executive Chairman, replacing Richard Barone, who resigned as Chairman but remains on the board. Mr. Singh has been elected to the newly created position of Executive Vice-Chairman. A letter written by Mr. Barone is available for review here and has been mailed to shareholders. As part of the transaction, Roll-Kraft and Ancora have entered into a mutual voting agreement with the goal of continued stability and oversight for the company. About George C. “Chuck” Gehrisch, Jr.
Mr. Gehrisch is the Chairman and CEO of Roll-Kraft in Mentor, OH. His entire career has been devoted to building local business, creating hundreds of jobs and providing custom tooling to roll forming, tube and pipe manufacturers around the world. Roll-Kraft tooling is used to produce thousands of items used by the public every day. Prior to holding his position as Chairman and CEO of Roll-Kraft, Mr. Gehrisch led the company as President for more than 20 years. He expanded Roll-Kraft’s outreach to include a worldwide presence and the company outgrew its facilities and moved into a state-of-the-art 110,000 sq. ft. building in Mentor, OH. In addition, Mr. Gehrisch opened other privately held Roll-Kraft facilities in Chicago, Illinois; Houston, Texas; and Woodbridge, Ontario, Canada. Mr. Gehrisch’s innovative direction has led Roll-Kraft to actively focus on the exceptional goal of providing customers with 100% on-time deliveries and first-time performance. Through his consistent leadership, the company has become known around the world as an industry leader for its superior service and reliable quality tooling. Mr. Singh is the President of Roll-Kraft, where he directs and leads the company’s efforts to excel in operational efficiencies and market penetration. He has most recently sharpened the company’s continuous improvement focus to meet the company’s goals of 100% on-time delivery and first-time performance. He also leads the company’s private investment initiatives in lower middle market companies located in northeast Ohio. Mr. Singh has held various financial executive leadership roles in Fortune 1000, privately held and private equity backed portfolio companies across various industries, including consumer products, manufacturing and service. Mr. Singh was actively involved in acquisitions and operational improvements in those businesses. Mr. Singh has a Bachelor’s degree in Accounting and an MBA. He currently serves as an advisor to the Board of two non-profits and a technology startup. CLEVELAND, Ohio – In light of recent developments involving modern sporting rifles (MSR’s), national retail chains and both proposed and pending legislation, Mace Brand has launched a Mace Brand Safety Kit, which includes two Pepper Gel Magnum 9 cans and one Mace Brand Relief decontamination spray. Mace Brand Pepper Gel Magnum 9 has a pistol grip design, making it easy to deploy, is light weight, and has a 25-foot range with a 330 gram canister that empties in six seconds – great for indoor defense. The kit also includes the Mace Brand Relief decontamination spray, which is designed to help speed up the decontamination time needed to recover. The specialized herbal extract formula cuts through the capsaicinoids that cause the burning sensation. The Mace Brand Safety Kit also includes more information on how to use the products and how to store the kit. Mace Brand pepper sprays are a less-than-lethal self-defense alternative for anyone 18 years of age or over, and can be purchased at leading retailers and independent dealers across the United States. Mace Brand pepper sprays are offered in many different sizes, formulations and delivery systems designed to meet the needs and applications of both civilians and professionals. Mace Brand also offers personal alarms and stun guns to complete your personal defense strategy. From our professional division, Mace Tactical Solutions, we also offer less-than-lethal sprays and products tailored for law enforcement, correctional and government agencies. 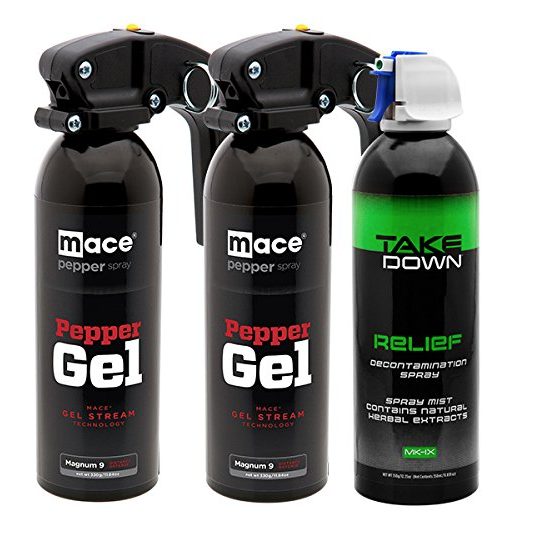 To purchase the Mace Brand Safety Kit, visit http://www.mace.com/macer-brand-police-strength-less-than-lethal-pepper-gel-spray-defense-kit. Available on Walmart.com and Amazon.com as well. This kit is not available in select states; please check on the Mace Brand Safety Kit product listing on Mace.com for a list of restricted states. Mace Brand is recognized as the #1 brand in safety and security through independent research. When shopping for Mace Brand products, look for the Mace Brand Authentic Product Seal; if it doesn’t have the seal, it is not an authorized product of Mace Brand. Mace® Security International, Inc. is a globally recognized leader in personal safety and security. Based in Cleveland, Ohio, the company has spent more than 40 years designing and manufacturing consumer and tactical products for personal defense, security and surveillance under its world-renowned Mace® Brand – the original trusted brand of defense spray products. The company also offers aerosol defense sprays and tactical products for law enforcement and security professionals worldwide through its Mace® Take Down® brand. MIS distributes and supports Mace® Brand products and services through mass market retailers, wholesale distributors, independent dealers and retailers, e-commerce marketers and installation service providers. For more information, visit www.mace.com.